Kweku Bimpong in Music on 19 February, 2017. It’s now virtually impossible to be oblivious to the effect that grime has had on British culture. Talents that were once harboured in crevices on the internet are now headlining festivals, releasing top five Albums and collecting Mercury awards. Up until recently this success appeared to be limited to those from London. The internet has however vindicated itself as it has enabled those outside of ‘the old smoke’ to capitalise on the success of their South Eastern counterparts. YouTube channels such as SB.TV, GRM daily and LinkUp TV have held the reins for years – providing many artists with an apt platform to display their adroitness. However, they were rarely able to provide this opportunity to those outside of London. 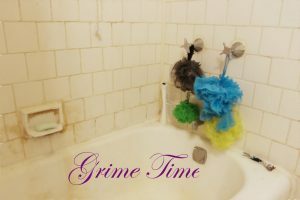 For better or worse, channels such as Blackpool grime media (BGM) have caught the attention of the masses propelling a select few to limelight. A multitude of YouTube channels and Facebook groups showcasing talent from outside of London have become more prominent, prompting the old guard to be more accommodating of those outside of the capital. Rather tellingly, the relaunch of the legendary Risky Roadz series (arguably the first ever platform for grime MC’s) revolves around the fact that it provides exposure for those in areas that you would never suspect grime to thrive. Need to know: Bugzy Malone. Bugzy Malone established himself via JDZ media but his fame escalated to Dizzying heights after he “sent” for Chip during his ‘Radio 1xtra Fire in the booth’. A series of diss tracks followed, ultimately instigating some of Grime’s most memorable moments. This beef later resulted in JDZ releasing Brum veteran Devilman’s diss track for Skepta. LDK is a group of three rappers from Sligo, their freestyle went viral furthermore replenishing the Irish Rap movement channel. SB.TV stated that they would love to hear more from the trio. Need to know: Mist. Mist is arguably the most successful MC outside of London, he created an unreal hype in Birmingham before he premiered on SB.TV. Mist recently released an EP and is set to tour the UK in late March, most dates are notably sold out. Splinta is actually from Nottingham and has appeared on some of the other channels mentioned. His impressive work rate and thirst resonate through his music and will undoubtedly help him to solidify himself amongst other established grime artists. The BarzRus masterclass series displays a cluster of northern talent, it would be sinful to neglect this channel. Twelve 50 and Graftin media are both catalysing the inevitable rise of grime in Scotland and are certainly worth looking into. Shogun is the torch bearer of Scottish Grime he is able to captivatingly describe what it’s like to grow up in a state of disillusionment, he claims that he is “not a one hit wonder” and I pray that he’s right.